This trip was my first solo travel experience. We didn’t plan it that way, but Mitch wasn’t able to come at the last minute so I made the trip to Vietnam by myself. I am not a person who does well alone; I’ve written about that before. I am not a person who travels to foreign countries alone. But, this weekend, I became a person who can do that and do it well. This whole Malaysia experience has taught me that I’m a lot braver and more adventurous than I thought I was. To be quite honest, I have to be grateful to Malaysia for helping me grow into a stronger, more independent woman. 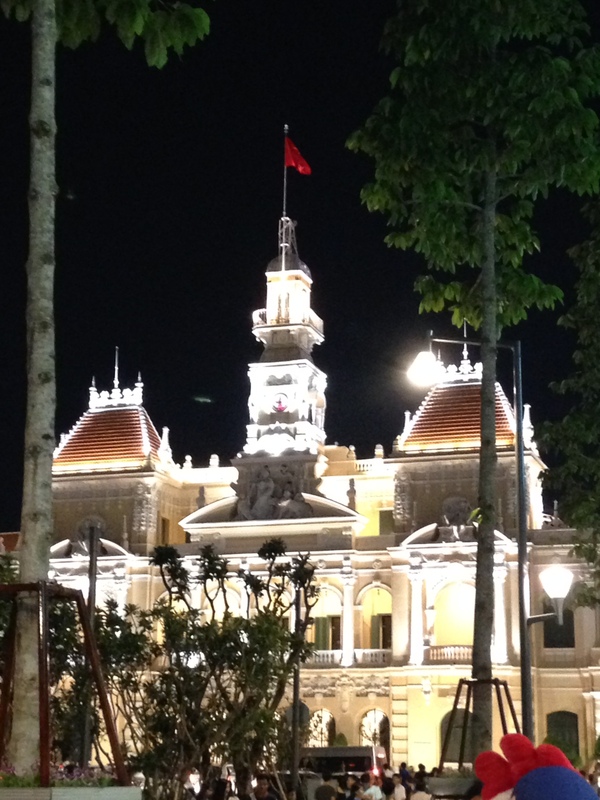 I absolutely loved Ho Chi Minh City, still better known as Saigon. (The airport code is SGN – how cool is that?!) 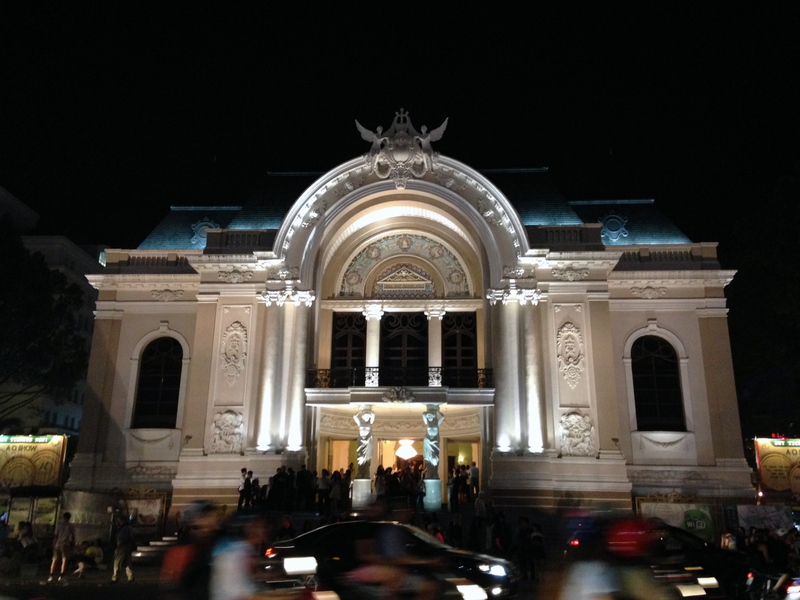 The French influence in Ho Chi Minh, and in District 1 in particular, is obvious everywhere, from tree-lined boulevards with sidewalks and numerous public parks to a plethora of cafes. Anywhere with coffee culture holds a special place in my heart. There are aspects of Ho Chi Minh City, too, that make it distinctly Asian – more people have motorcycles than cars, traffic lights are in short supply, and when stuck in traffic, many bikers prefer to ride on the sidewalks. The gallery below contains general shots of the city. Then, I’ll get into specifics about what I saw. Independence Palace, also known as Reunification Palace, was my next stop. I have to admit that I was less than thorough in my exploration due to stifling heat, oppressive humidity, and lack of air conditioning. Since I’m much more used to the architecture of old European palaces, it was interesting to see a modern palace. My photos of the interior didn’t come out very well because I wasn’t using the flash, but I did get some decent shots of the coolest part of the palace, which was the bunker in the basement. The bunker acted as a command center during the war and was completely equipped for people to stay for extended periods of time. The old radio equipment (ironically supplied by the US when Ngo Dinh Diem was in power) was fascinating. 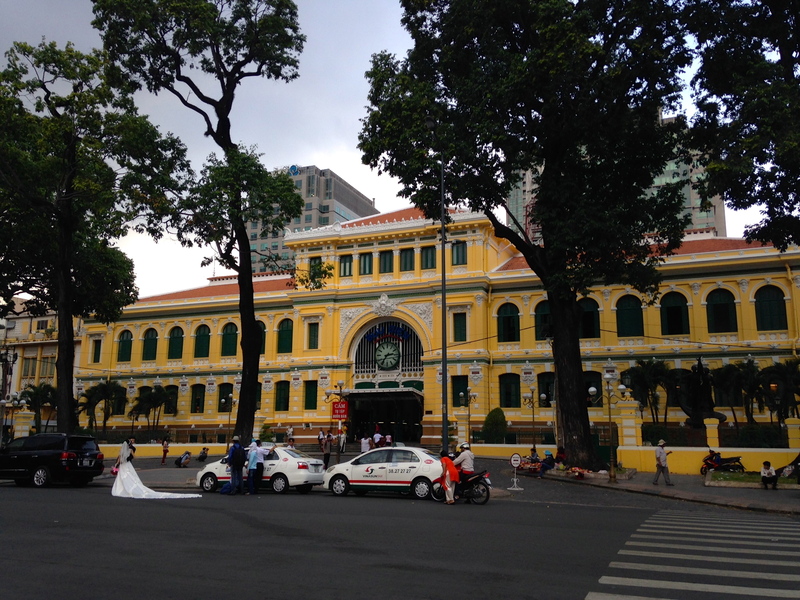 The Central Post Office is famous for its interior (old French maps, phone booths) and is a popular spot to take wedding photos! The massive portrait of Uncle Ho (so called by numerous posters around the city and explanations in museums) surprised me. 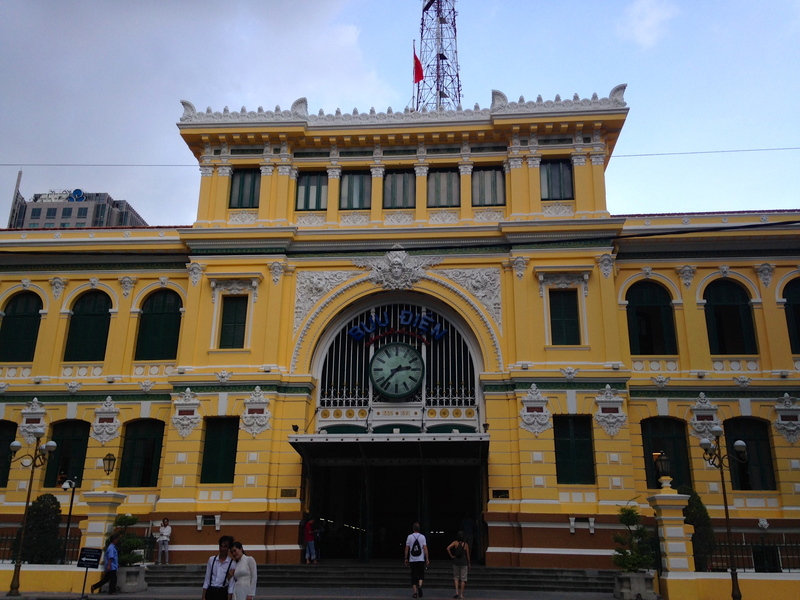 Saigon Notre-Dame Basilica, built by the French in 1880, is located on the same square as the post office. Most of it was closed to visitors and reserved for people praying, which I really liked. Again, no flash so not the best photos. 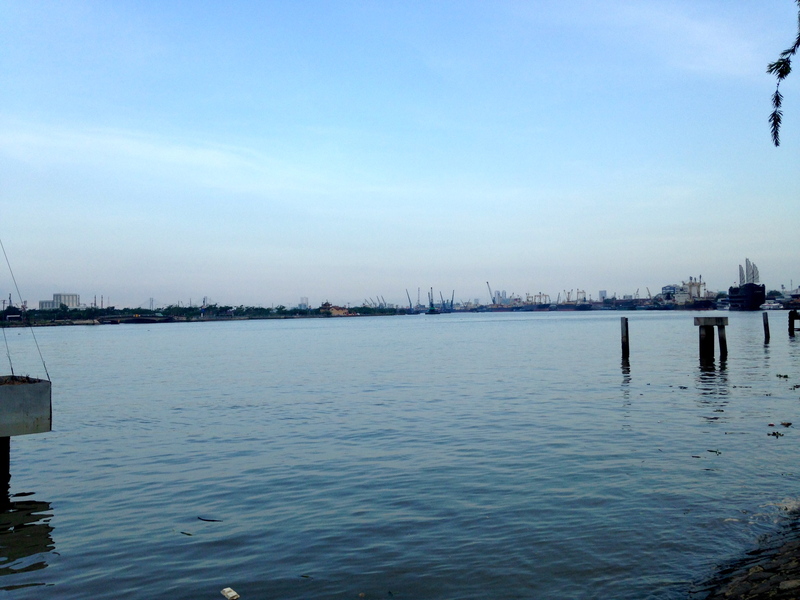 To see the Saigon River, I walked down a wonderful street called Dong Khoi. While in that area, I had a cup of coffee (one of many) and window shopped in all the little boutiques. I returned to that area Saturday night for dinner and drinks. I didn’t see the river by night, but I saw it as the sun was beginning to set. By night, I did see . 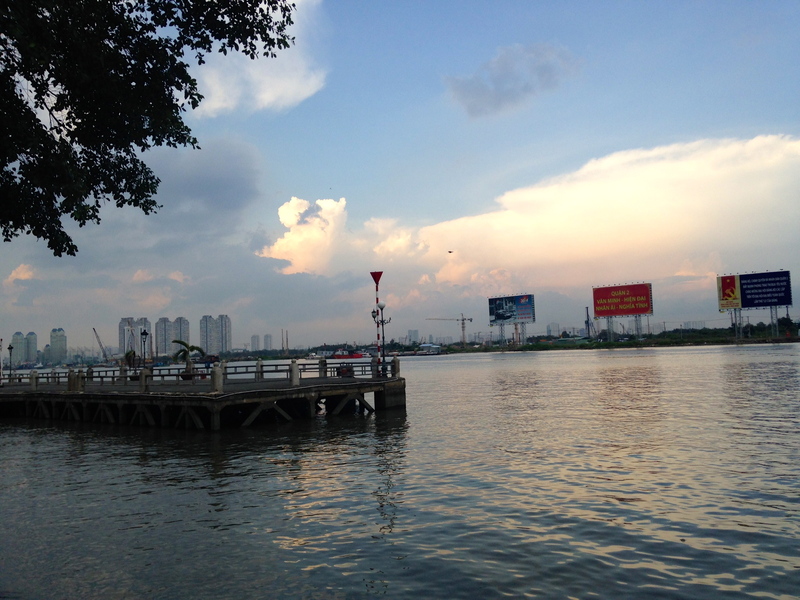 . .
Sunday morning I went to Ben Thanh Market. The chaos and odor of Asian wet markets no longer surprises me, and I am no longer rattled by vendors constantly calling after visitors to purchase this or that. Instead, I simply enjoyed the people-watching and the coffee. I also ventured to the Fine Arts Museum, intriguing because I have no experience with Asian art. Interestingly, the museum was un-air conditioned and very few of the pieces were protected by glass. I don’t know anything about art conservation, but I can’t imagine that’s good for the art. 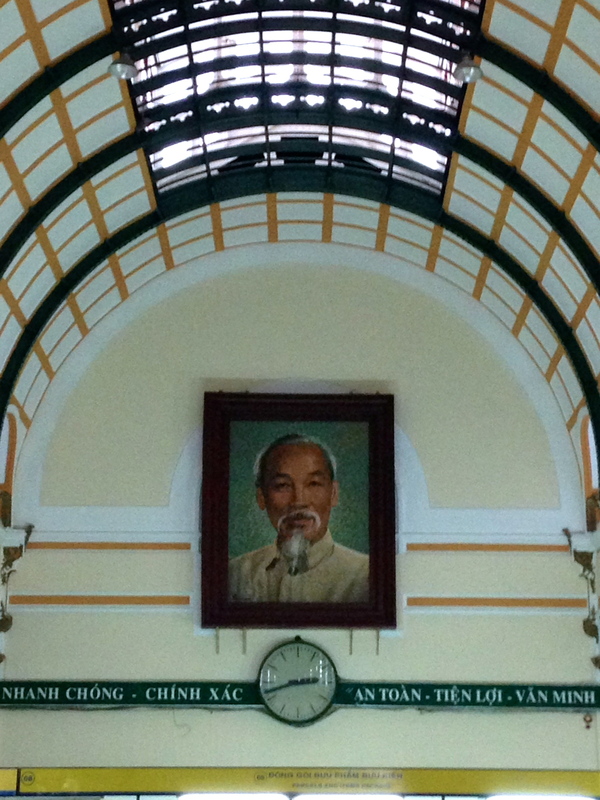 The Ho Chi Minh City Museum was also excellent. This is where I found a collection of actual artifacts from the Vietnam War. The War Remnants Museum told its story in photos, but this is where newspapers, uniforms, weapons, official documents, old uniforms, and ingenious objects like a boat with a false bottom are housed. Despite all that I saw and did, I can’t say I really feel that I experienced Vietnam. 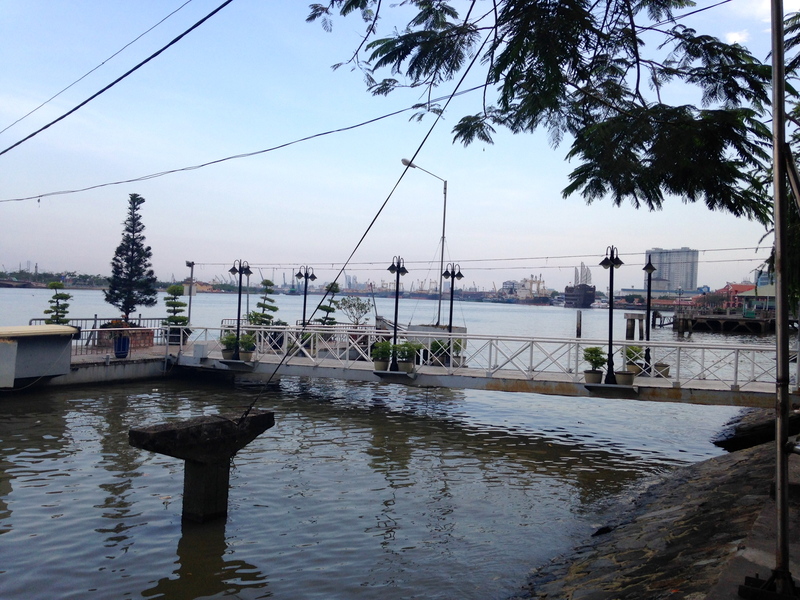 When Mitch and I were in Bangkok in November, I thought I understood how people in Thailand really live. I don’t have the same feeling about Saigon, or Ho Chi Minh City, or whatever you want to call it. All of my exploring took place in District 1, which I know is incredibly Western and the most frequented by tourists. Next time, I’d love to take a boat up the Mekong River to see fishing villages (friends did this and their photos were wonderful), I want to see the pagodas in Chinatown, and I really want to go to Hanoi. Obviously, there’s a lot out there; hopefully I’ll get to see and learn more!